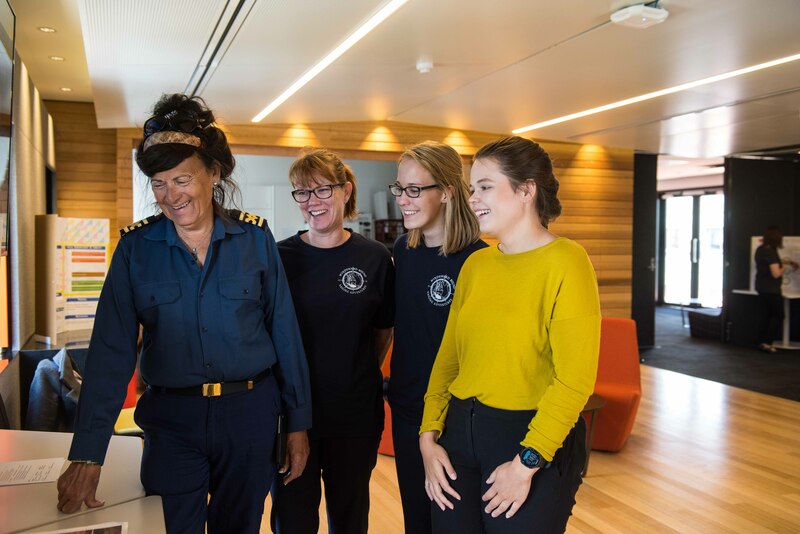 From implementing change at one of the State’s most important festivals to managing ten-day voyages at sea, the University of Tasmania’s Corporate Internship Program delivered one business student a wealth of experience. The work-integrated learning program places students within organisations, giving them the opportunity to directly apply theoretical learning in a practical and real-world environment. Lisa Kluver (BBus 2016) completed two corporate internships within her degree. Her first was working with the Hobart City Council, in which her main project was the Cashless Taste of Tasmania System. “It was a great learning experience - being a trial for the Council it came with its challenges. It involved working both before, during and after the event to assist stallholders with planning, training, troubleshooting and post-event support,” Lisa said. Following this internship, Lisa successfully applied for a second with the Windeward Bound Trust. Her project was managing the annual voyage called the Youth Leadership Challenge, which promotes understanding, inclusiveness and the community by bringing together 20 young people from different backgrounds for a 10-day voyage aboard the STV Windeward Bound. “Looking back on my internship, I loved having the opportunity to gain a real-world understanding of how organisations operate. It was wonderful having the opportunity to apply the skills that I had learnt throughout my degree before beginning my professional career. After Lisa completed her corporate Internship with the Windeward Bound Trust in 2016 she was offered the role of Event and Voyage Management Officer and later Sails Officer. Her focus was finding creative ways to engage young people and provide personal development opportunities. Over two years, Lisa has had the opportunity to help other students. “I have been fortunate enough to mentor three interns throughout my time here who have all graduated or are close to graduating and are achieving great things in their personal and professional lives,” she said. “I truly believe that an internship provides university students with a competitive edge when applying for roles, and I believe it should be integrated into all business degrees. Lisa finished up with the Windeward Bound Trust in November and is currently looking for employment opportunities where she can continue to make a difference within the not-for-profit and community sectors.